Sterner Automation has a multi-disciplined engineering team that includes resources such as software architects and electronics hardware engineers. 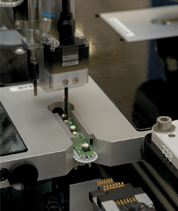 This engineering resource gives Sterner Automation the unique capability of designing testing platforms for high-technology components such as PCBs, RF receivers/transmitters and LED light assemblies. 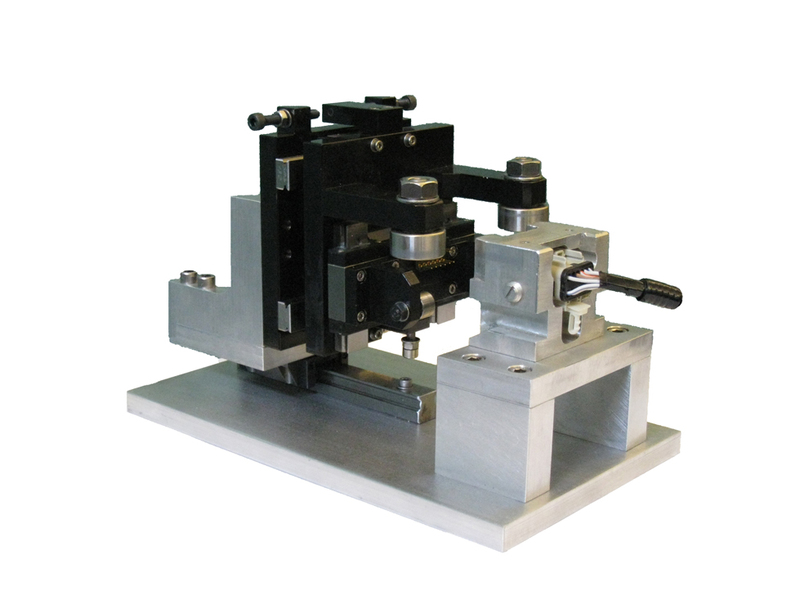 Combined with our mechanical engineering and electrical engineering capabilities, this allows us to design and build machinery that can test products beyond the capability of our competition. Our testing capabilities are not limited to high-tech components, but our focus in the past few years has been in this area and we have developed several igentic® series machines to serve this area. The trend in test has been to move to systems that can adapt to a high mix of components. Our igentic® 400/600 and 800 series testers are all designed to be highly adaptable to new product introduction. By building in flexibility, new products can be introduced with minimal capital cost. Our capabilities in the areas of test include low level IC programming and communication, in-circuit, functional, RF and LED light measurement. In the area of test, we have also developed several new products for the automotive industry. These products are varied and perform such operations as sensor offset measurement, sensor reset, ECU reflash, power up and communication. These products typically fill a need where a common task is being performed at the plant level and a rugged handheld device is needed. The igentic® 421t provides the flexibility, reliability and efficiency needed in one standard platform, allowing our customers to test multiple PCB's and significantly reduce individual product testing costs. 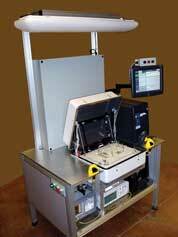 The igentic® 621t is a flexible PCB tester that ensures quality while increasing production. The tester can handle multiple PCB products and test for light measurements, resistance and push button or post detection, as required. The igentic® 821t automated process combines advanced vision technology with flexible positioning and power-up capabilities to detect inconsistencies in individual LEDs at the panel production level. 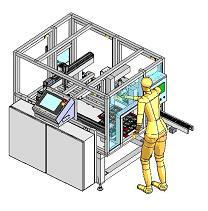 The resulting detection capabilities ensure that the highest standards are met while maintaining the capacity associated with today's high speed automated lines. Integrated circuit (IC) and micro electro-mechanical system (MEMS) device manufacturers need to address the challenges of today's global market including increased functionality, speed and complexity while delivering components at reduced costs. Sterner Automation's igentic® 841t automated test systems meet these demanding requirements by providing a flexible platform for comprehensive end-of-line IC and MEMS device handling, testing, grading and packaging. 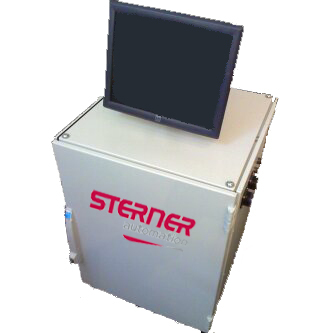 Sterner Automation Autoconnect Systems provide electrical connnection between test equipment and DUT (device under test). Our JIT manufacturing design experience allows us to provide a reliable and cost effective system. Sterner Automation EOL Testers provide communication and electrical testing capabilities to JIT plants in the automotive industry. Our industrial grade interface box provides a hardened robust testing solution with a multitude of software and electrical capabilities.